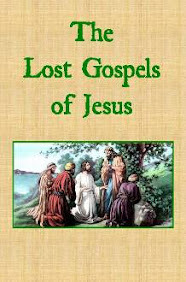 The Lost Gospels of Jesus is a modern English translation of the most ancient manuscripts uncovered from antiquity. The Canon Gospels of Matthew, Mark, Luke, John, James and the Epistles of John utilize the ancient Codex Sinaiticus along with other ancient sources. The Codex Sinaiticus has been accepted by many scholars to be one of the oldest Biblical manuscripts. These translations provide a fresh perspective of the teachings of Jesus right from the scriptural sources in easy to read English. If you would like to have a copy of the entire Gospels of Jesus you can click on the image to the right to download the PDF version without charge or obligation. Otherwise, you can navigate the entire Lost Gospels book through this website, along with footnotes and endnotes for explanations of some of the more unique translations.